Coopers Sparkling Ale is technically an “Australian Sparkling Ale” which is not a specifically recognized style of beer by the BJCP. We would hope the next official release of BJCP guidelines would include this style. For the time being it is specifically referenced as falling under “Specialty Beer”. In terms of what type of beer it is similar to? I have seen others refer to it as an “English Pale Ale” or EPA. 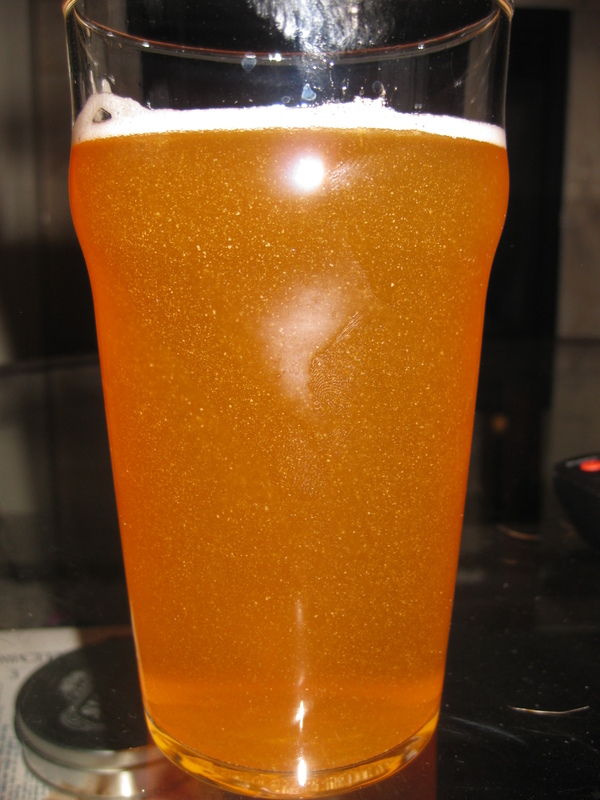 The beer pours a attractive golden and is cloudy which is a result of the beer being unfiltered and bottle conditioned. 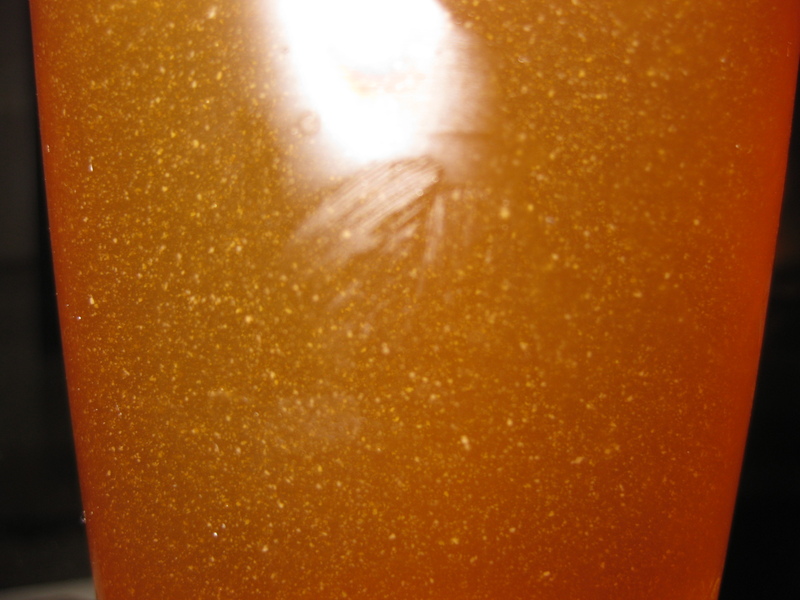 In fact, the yeast in the bottle has another distinct effect. The head developed one finger thick and an almost pure white. Retention was very average and minimal lacing occurred. The aroma I get it sweet malts, some bready yeast, and subtle hints of hops and citrus notes. I think it kind of smells like how it looks if that makes sense. The taste begins a smooth with a crisp maltiness that gives way to the hops and a more bitter finish. There are definite fruits notes here with citrus being obvious. The other influence is harder to identify – maybe apples or pears. Again, the finish is hoppy. Very balanced overall. The mouthfeel is light to medium. 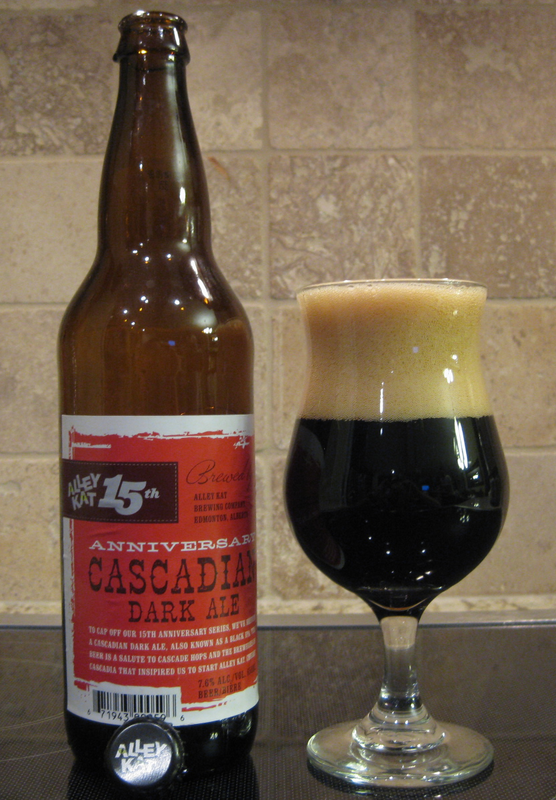 It is smooth but at the same time quite carbonated. Overall, I found this beer to be extremely refreshing and thirst quenching possessing some very subtle complexities to keep me interested. I would have never tried this beer if I hadn’t been given that “Beer a Day” book. I am glad I did. This will surely be a staple of my warmer-season beer roster. I would also add that this beer has the complexities and subtleness to it’s character that most beer geeks would enjoy it but, at the same time, it has the perfect blend of qualities (and price) to give to your non-beer geek friends to get the started on quality beer. Last comment: next time you want to toast to Australia, put down the damn Foster’s and grab a Cooper’s. Aussie’s will notice and thank you.